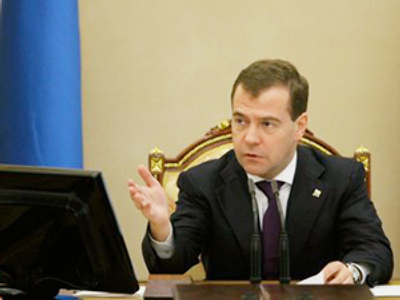 President Medvedev has said that both Russian and foreigners must observe the law. Otherwise, they would suffer the fates of former Yukos CEO Khodorkovsky and ponzi scheme operator Bernard Madoff and be sent to jail. During his short trip to Davos to address the World Economic Forum with his keynote speech, Dmitry Medvedev also answered Western journalists’ questions. 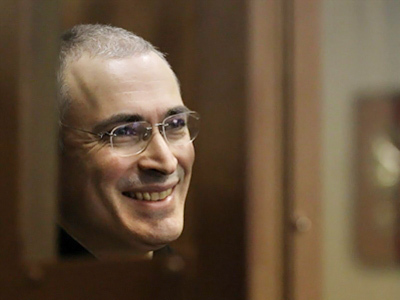 Not surprisingly, the trial of Mikhail Khodorkovsky – who was sentenced to 13.5 years behind bars in a second case against him – was among the topics discussed. 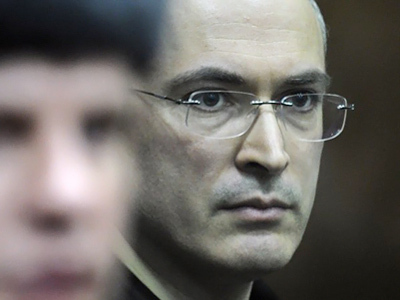 The world has been closely watching the Khodorkovsky ‘saga’ and criticism has been directed at Russia following allegations that the case might be politically motivated. “I believe, investors – Russian or foreign – should observe the law. Otherwise they can get a jail term, as it happened with Khodorkovsky and Madoff, whose term is slightly longer,” Medvedev said in an interview with American Bloomberg TV. The president noted that in 2010 alone, 1000 private sector businessmen and about 3,000 employees of large commercial companies were brought to court in Russia for tax crimes. “It is a significant number,” Medvedev stressed. Some of those businessmen were sentenced to 8-10 or 15 years in jail. Therefore, he added, all talks about selective justice is not exactly correct. Commenting on the infamous Khodorkovsky trial, the Russian leader said that he has always believed “that a president of any country, including Russia, should not discuss any individual cases, just because it would mean interference in the court system”. He also observed that the sentence against the former oil tycoon and “some of his colleagues” has not come into force yet. Medvedev added that he hoped no one has doubts that the prosecution is entitled to bring additional charges against people who are already in jail, no matter how it is taken by the public. 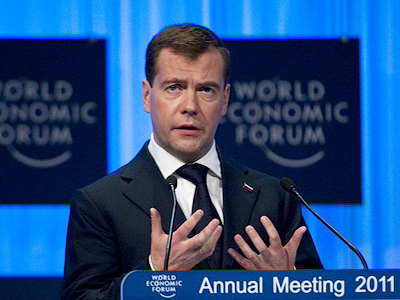 “I believe that all talk about imperfection of the court system, as well as attempts of implying pressure, including on me as the President of this country, are absolutely destructive,” Medvedev said.It only makes others think that the judicial system in Russia is so bad, that the president or anyone else can be told to change the Khodorkovsky, or any other verdict, and that convinces them that the system is “not hopeless and somehow works”. 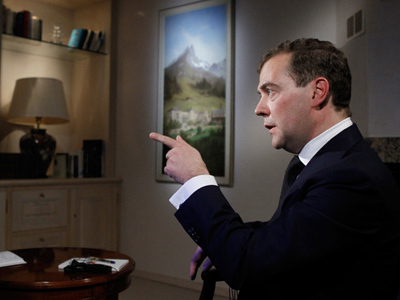 “That is unacceptable,” Medvedev stressed. “The president should not interfere; the judicial and legal systems should be developing on their own. Otherwise, there will be problems,” he added, as cited on the Kremlin website. See the full version of the televised interview later.